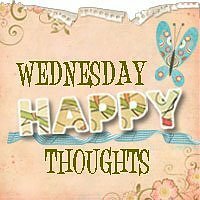 Wednesday Happy Thoughts! | To Be, To Be. Tutubi. 1. A day and a week before our Boracay trip. Just me and hubby, so mala-honeymoon, ha ha. 2. No money, but no worries. Hakuna matata. God will provide. 3. Missing my mom who is still in the province, but so thankful for my sister Kris who is really stepping up to be a very responsible Tita. 4. The fun family day of our company at Manila Ocean Park. 5. The tons of pictures we took at the family day. 6. The side trip to Luneta's Children Playground to rest and put up our tired feet while the kids roam the park. 7. The killer Zumba session last night! It was punishment, ha ha. 8. Aryssa's leche flan and Pizza's left over cake. (Is anybody here on a diet, ha ha). 9. Kuya Mher's bopis. Made me forget my no-rice diet, I had more-rice diet instead. 10. Staying overnight at my sister's house and bonding with the kids! A Spa Date at Rilassante Spa! We Travel to Eat, Part 2! TOSH Pasta and Pizza All You Can! Vanilla Ice Cream + Oishi Sponge is LOVE!